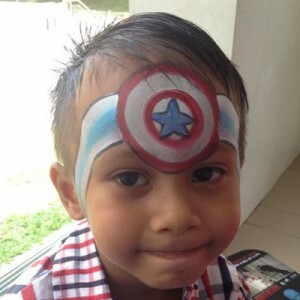 Face painting is one of the most fascinating and popular activities for a children’s party and even adults enjoy it too! 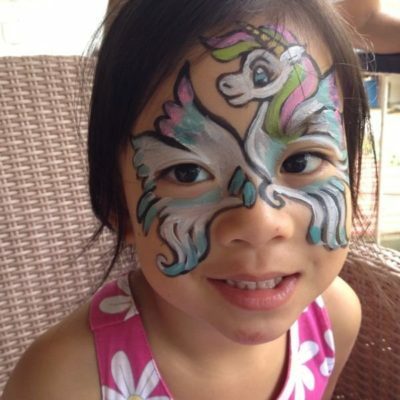 Our friendly face painting artists are well-trained and professional to paint anything you request for. 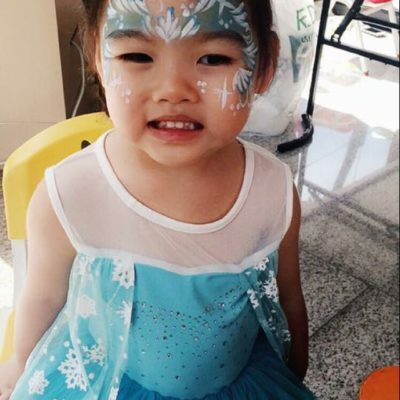 We create unique designs ranging from superheroes, cartoon characters, animals and even Olaf the snowman using high quality paint and glitter. We only use high quality professional paints, they are water-based and can be easily washed off with water and soap. We will provide picture references for you if you are unsure of the design that you would like us to paint. You can also have your arms, hands painted too! 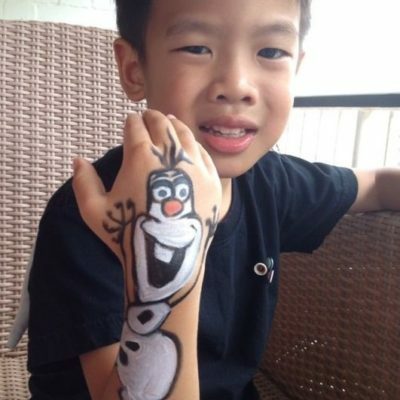 Request anything from our professional face painting artists! 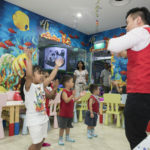 For our standard face painting designs, our face painter is able to cater up to 20 children in an hour, fret not, the birthday child will definitely get her favourite design from us. 3 Reasons why you should book us! How many pax can the face painting cater to for an hour? Approximately an hour, our face painter is able to paint for 20 pax. What are the designs available to choose from? Our face painter will provide an catalog for you to choose from, alternatively if you have any favorite character you like us to paint, feel free to let our face painter know. 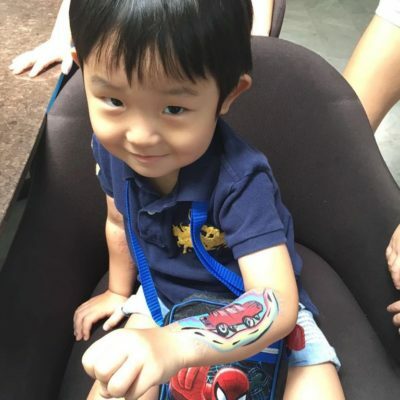 Yes they are very safe, we uses high quality paint and it is hypo-allergic from TAG Body Art. Before our face painter starts to paint, we will definitely look out for any open wounds or allergy. We will advise not to paint on open wounds or if you have skin allergy. Can we paint on our hands? How do we go about booking the face painting entertainment? It is easy to book us, you can submit a booking form by clicking the button at the bottom of the page. For booking and inquiry, click here to contact us.